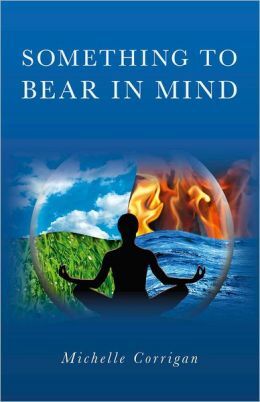 Something To Bear in Mind is a wonderful little perpetual calendar that is an eclectic blend of Pagan, Buddhist and Yogic wisdom. The suggestions in the book assist the reader in keeping centered and focused throughout the day. Each day of the year holds thought provoking little missives designed to assist the reader further along her spiritual path. The chapters are thematic; dealing with the months of the year. January, for instance, focuses on new beginnings. In January, the reader will find suggestions on yoga, health and spiritual renewal, whereas February focuses primary on chakra work. August focuses on self nurturing and keeping alight your inner fire, and July focuses on the Buddhist teaching of mindfulness. The chapters are subdivided by day and provide thought provoking questions, bits of daily wisdom and ways to put these little teachings into daily practice. Something To Bear in Mind is like sitting down with a dear friend. The writer’s voice is compassionate and warmhearted and makes the reader feel at home. The suggestions that Ms. Corrigan makes for the passing of each day are easy and quite doable, and can fit nicely into everyone’s daily routine. I love to read it every morning with a cup of tea. I love this little book, and I think you will, too.